The end of the year is mostly a festive time. Almost every culture and country traditionally celebrates the end of the old year and the beginning of a new one, no matter which calendar they follow. But it’s also a time for stock-taking; a time when decisions are reviewed and sums are taken. And last but not least, it’s a time for thinking big! After all, what would the end of one year be without all the great plans and resolutions for the new year? We were very happy to welcome 400,000 new members to InterNations in 2015! Our 850 InterNations Ambassadors and 4,300 Consuls made sure that these newcomers are now part of our 390 vibrant and welcoming communities all around the world. Our big and heartfelt “Thank You” goes out to all of them! All in all, we’re now connecting 1.9 million expats and global minds. 1,240,000 people socialized and networked at 5,500 official events all around the globe this year and shared their hobbies and interests with other global minds at 32,000 different activities. For three motto months with special themes, our Ambassadors and Consuls invited their groups and communities to start their new year with InterNations in January, to color their life in April, and to feel like a movie star in the summer months. Our event calendar rapidly filled with ski trips to the French Pyrenees, authentic Neapolitan pizza nights in London, cooking classes in Quito, a “Red Party” in Barcelona, a Casino Royale night in Manila, a Great Gatsby-style celebration in Sofia, and many more. Like every year, InterNations Founder & Co-CEO Malte Zeeck visited as many communities as possible this year in order to get a chance to talk to our members all around the world in person and listen to their feedback and experiences with InterNations. In 2015, he visited one official event in a different city every month, from Athens in March to Helsinki in June to Milan in September — where he celebrated the eighth birthday of InterNations together with our largest community in Italy. Cincin! Last but certainly not least, the number 24,000 makes us particularly proud: just as many InterNations members have now joined one of the Volunteer Groups in 32 cities worldwide. They donate their time, money, and talents to people in need by supporting a variety of local non-profit organizations in their InterNations Community. Our Munich Volunteer Group, for example, unites nearly 2,000 people from 130 countries. Together, they have been helping refugees in Munich (e.g. by collecting goods, sorting clothing donations, or hosting a party), as well as organizing regular activities for people with cerebral palsy. But we have not only seen a lot of offline activity in 2015 — online, there have been some major changes, too. Our site relaunch has been continuing apace: InterNations has received a “facelift” with a fresh design and a brand-new logo. Furthermore, our Product and IT Teams have overhauled nearly our entire platform. 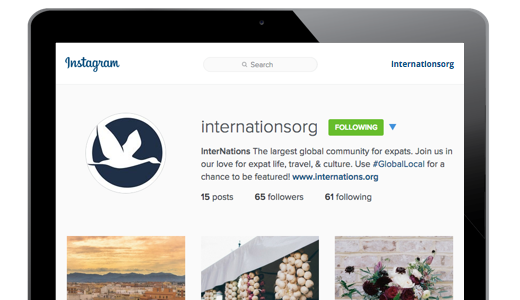 In 2015, we introduced an updated member profile focusing on the international experience and global lifestyle of the InterNations members. We also released a new and improved version of the event calendar and completely redesigned the centerpiece of your InterNations Community — the start page. The positive feedback we received from our members and the high activity levels on our website have shown us that we are on the right path! The fact that the InterNations website is now more mobile friendly certainly plays a big part in this. The responsive design for smartphones and tablets seems to meet with general approval: 50% of all logins are now made through mobile devices — a number reflecting both the zeitgeist and our internationally mobile member base. Of course, we updated another important part of the InterNations website as well: the Expat Insider. 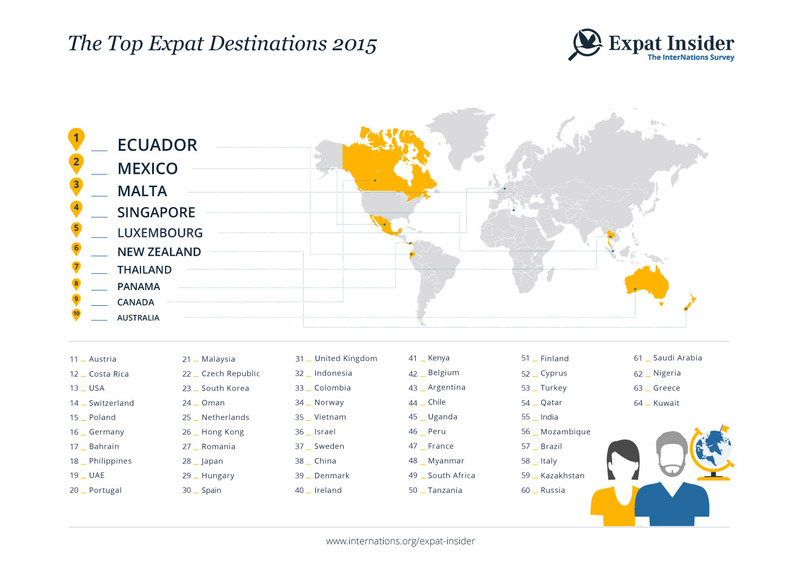 For the second year in a row, we have conducted one of the largest expat surveys worldwide. More than 14,000 expatriates from 170 countries of origin have provided detailed insights into life abroad in 64 countries — with Ecuador remaining the uncontested #1. Our Social Media Team has another number to be proud of: over 500,000 fans are currently following our official Facebook page. To our presence on Facebook and Google+, our Twitter feed, and our YouTube channel, we have recently added an official Instagram account. So don’t forget to share your best pictures from your expat life and your travels with us! • We will make sure that our volunteers around the globe have the best possible experience during their time as InterNations Ambassadors and Consuls. With our dedicated Learning & Engagement Lead Anastasiya on board, we’ll be developing new training materials and knowledge-sharing facilities. • In line with our mission to make life easier for expats, we’re currently thinking of even more ways to enrich your experience as an InterNations member. Features that are likely to make it from the drawing board into production this year will focus on offering you innovative networking options and interesting local co-operations. • 2016 will see our website relaunch completed, with all the remaining sections of our platform redesigned and optimized for use on mobile devices. • And yes, there will be an InterNations app, for iOS as well as Android, to allow you to get the most out of InterNations while you’re on the go. We’ll keep you updated! But for the moment, we’d simply like to say thank you to everyone who has helped to make InterNations the flourishing and friendly community it is. A Happy New Year 2016, everyone — we’re looking forward to sharing it with you. A friend of mine(for 34 yrs), Lynn le Roux and I, met up in May this year after loosing contact. We visited her in Canada, Vernon and fell in love with the country! As all of you you know South Africa has become really a very difficult place to be. We wanted for years to immigrate to the USA but the luck of the draw doesn’t always fall your way. After we visited Canada my husband and I both said : “maybe there was a reason, (because as we completed a 3 weeks holiday in Canada) it is like being home”! It is so daunting to immigrate and we have approached Canadian lawyers, but very difficult path to understand how and where, all they want is money (which is not really a problem) and not really proper help of interest and intention to assist! Can you share with us how your organisation works and how we can move forward with better clarity.? 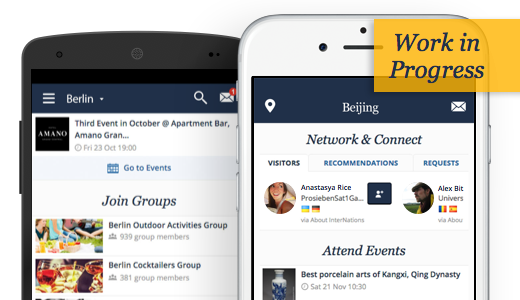 InterNations is a social network for people who work and live abroad (or are planning to do so). 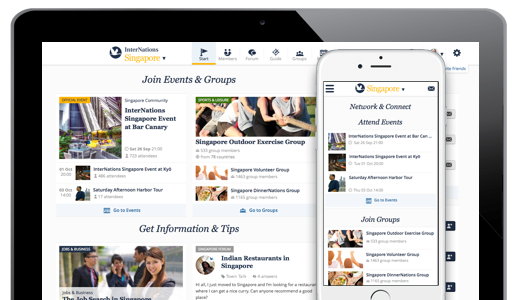 Through InterNations, you can connect with other expats in your city, join exciting events to meet international people, get tips & information about your destination, etc. Basic membership is free, so you can easily join and get in touch with other expats who may have already gone through the Canadian immigration process and can share some tips with you. Merry Christmas and Happy New Year to all the all Inter-Nations in Cork hope to meet all of ye in 2016. HAPPY NEW YEAR TO all InterNations Group in Addis Ababa & World wide . I wish to join 2016 events . Thank you! We’ll definitely keep our members updated about the InterNations app. Thank you! We’re happy to hear that you’re enjoying our international community. Have a great new year! Thank you for your kind wishes! Have a lovely holiday season and a great new year! Enjoyed all get togethers in Antwerp. Thanks. Trying to get in touch with Internations Cebu, Philippines, no success ! I’ll be going there for a month next year. 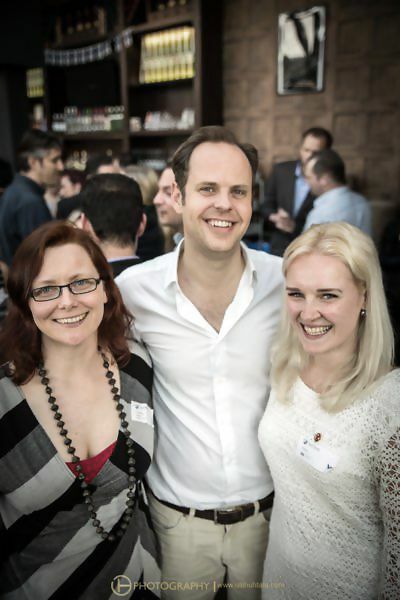 It’s great to hear that you enjoyed our events in Antwerp. However, I’m afraid that we don’t have an InterNations Community in Cebu City yet! But I hope you’ll have a great time in the Philippines. I can’t wait to be part of next years activities! Great job guys!! Thank you for your nice feedback! Happy New Year to you!